Below is a listing of all our current excursions, complete with a price and description to help you find exactly the type of trip that will suit you! CLICK THE TRIP TITLE TO TAKE YOU TO A LIST OF AVAILABLE DATES AND PRICING. Read through what each trip has to offer and then refer to our schedule to find a date that works for your and/or your group. Rates listed do not include food costs, tackle rental, or customary gratuity. Remember that tackle rental is not available for Pulley or Rankin Ridge trips. Please let us know if you have any questions! A Trip For True Sportsman, this Florida Sport Fishing TV trip is invitation only! Hosted by Capt Mike Genoun, of Florida Sport Fishing TV. The First of Its Kind, JACK ATTACK is like no other trip on the Yankee Capts schedule. It is designed solely for avid jig fishermen looking to push their tackle and their fish-fighting skills to the very limit! 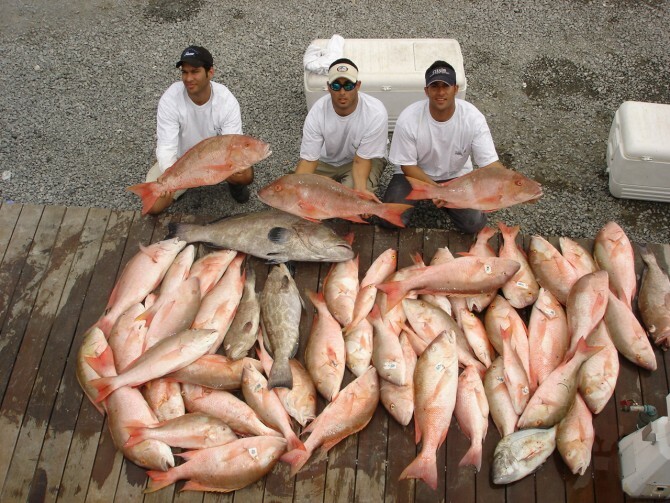 Target species include Greater Amberjack/Almaco Jack/Jack Crevalle/African Pompano/Blackfin Tuna/Grouper. We’re going after the biggest, baddest, hardest-fighting fish. Can you handle it? This is a PASSWORD PROTECTED TRIP; the only way to get the password is to contact Capt Mike. 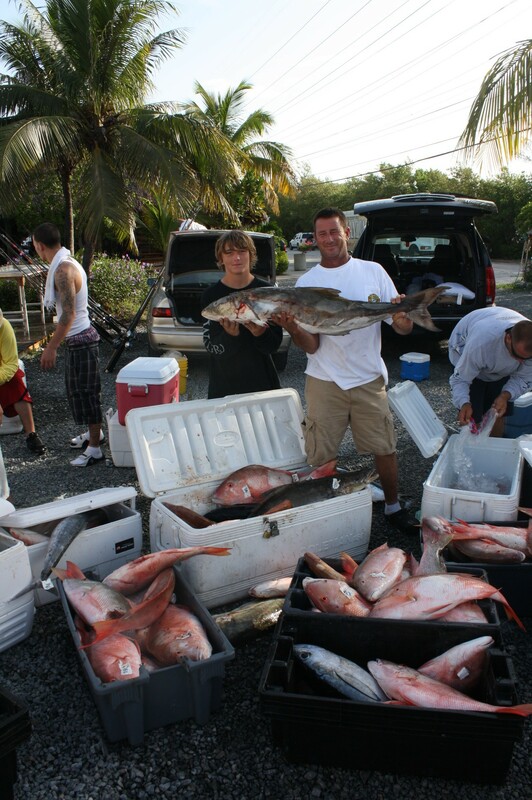 Email Mike@FloridaSportFishing.com or call 954.942.7261. Due to the growing number of requests made by anglers and small charter groups over the past two fishing seasons, and in an effort to expand fishing opportunities for those who prefer to focus on catching quality rather than a quantity of fish, Captain Greg is now making plans to do just that for those fishermen who want to experience fishing new areas never fished previously over the last three decades by the YANKEE CAPTS. Starting in 2019, the YANKEE CAPTS will now explore and fish previously uncharted areas where anglers will be the first to fish upon and experience new deep dropping and shallower 40 – 60 fathom depth fishing. This will essentially be ‘virgin fishing grounds’ trips where you will never know what we will find, but more so in what you can hook into as these trips will now navigate to new fishing grounds. Fishermen should expect to bring along fishing gear similar to which is used for deep dropping along Pulley and Rankin Ridge as well as the tackle requirements for the Pulley Ridge ‘Light’ and Halfway Ridge trips. We have a general tackle requirements page but will continuously update and fine tune the tackle needed as we get a better idea on what to use two days from the departure date. 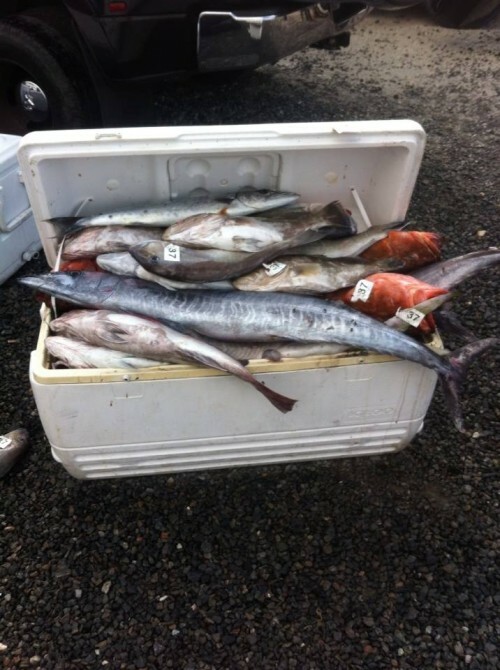 This is due to the new fishing grounds that will be chosen and fished on that particular trip. The first trip on the 2019 calendar will be leaving at 2 pm on Thursday May 2ND and returning at approximately noon on Sunday May 5th. These ‘virgin fishing grounds trip’ will be STRICTLY LIMITED to 18 anglers to maximize your enjoyment and receive the highest quality service from our crew. So come join us in 2019 on the YANKEE CAPTS on what will be a memorable fishing experience! Yankee Capts is back at it, plotting a course to something new. Heading out to find something better than ever before. Presenting the Queen Snapper Hunt. 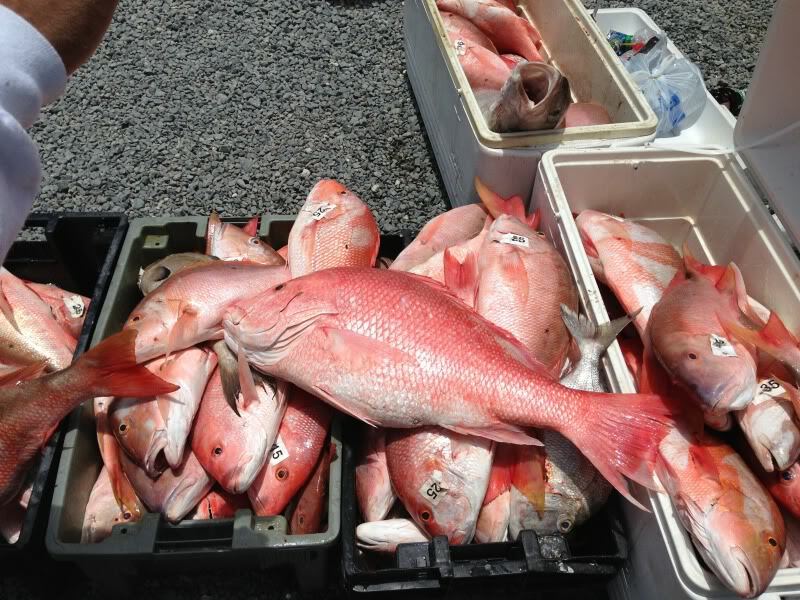 Fishing at depths of 500 feet and more, catching these red beauties is a treat. 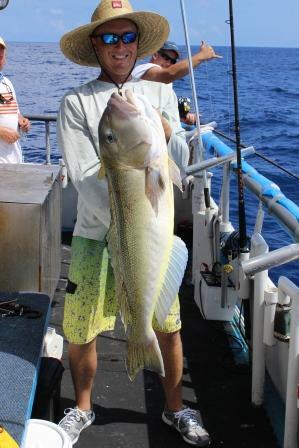 We will be making drops focusing on Queen snappers but also expect to see tiles and groupers. Deep drop tackle is required for this trip, follow the guidelines for the Pulley Ridge trips carefully. Please be a patient fisherman as you can expect a little longer ride to the grounds and longer moves in between stops. A little longer than our typical 2 Day Tortugas Classic, offering a few extra hours of fishing time with almost another half night of fishing. Many of you take the day off on Friday to drive down, so why not leave a little earlier? This trip is operated much like our popular 3-Day Mutton Marathon, just a tad shorter. Departs 5 pm (PLEASE NOTE 5PM!) on afternoon listed. Returns just around noon on third day. Perfect for those looking for a getaway to world-class bottom fishing. 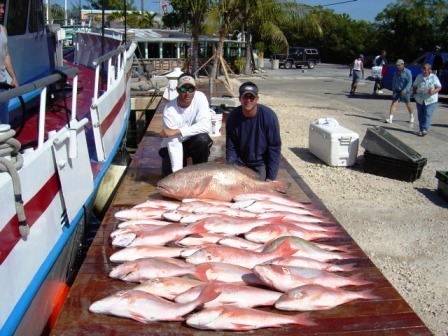 Our catch is mainly snapper and grouper including Mutton Snapper, Yellowtail Snapper, Red Grouper, Black Grouper, King Mackerel and other native and migratory species. 2019 price: $585.88 per person. 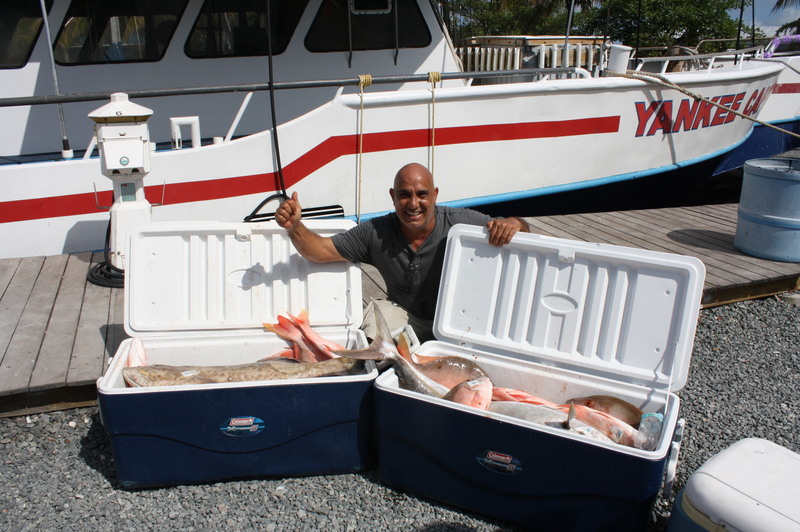 Always improving where and how we fish, Yankee Capts is excited to introduce an all-new trip. Focusing on the rich waters of the world famous Dry Tortugas, “Drifting & Dreaming” will consist of both bait and jig fishing while drifting over the area’s fertile reefs rather than anchoring. Target species will remain prized mutton and yellowtail snapper, various grouper and king mackerel. 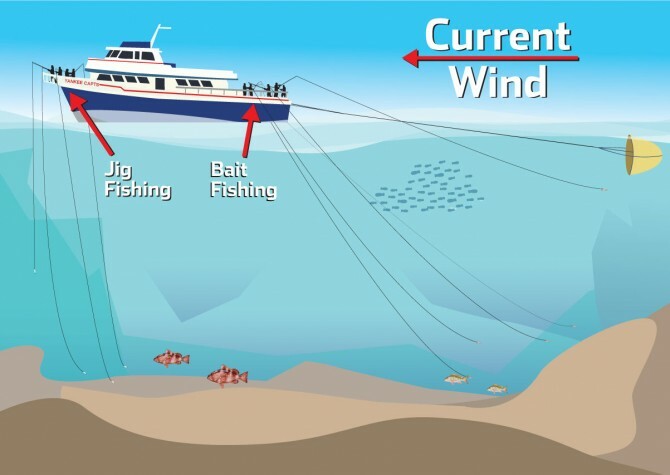 Drifting rather than anchoring will allow the captain to fish areas previously off limits. Drifting & dreaming trips are strictly limited to 25 anglers. Expect to fish areas of the Gulf of Mexico where anglers are permitted to harvest grouper, except gag grouper, which must be released. Expect average depths in the 100+ ft. range with near vertical presentations. The successful techniques we’ve been employing out at Halfway Ledge will be used during these exciting trips as well. 2019 Price: $645 per person. 2019 price: $688 per person. The limited-time opening of American Red Snapper season packs the Yankee Capts each year. This excursion seems to be our most popular trip in recent years so this time we have decided to spice it up a little. This trip WILL FILL, so book early! Every year yields some amazing fish. 2019 price: $709.50 per person. The resounding success of the deepwater Pulley Ridge trips would be enough for most captains. Fortunately for anglers, it motivates the Yankee Capts. to raise the bar again. For those who have yet to be enlightened, to say Pulley Ridge is special is an understatement. It is among the deepest photosynthetic reefs in the world. Coupled with current flows and proximity to deeper water, it allows for some truly fascinating flora and fauna(read: fish, and lots of them!). After countless hours cross-referencing bathymetric charts with live data and catch logs, Capt. 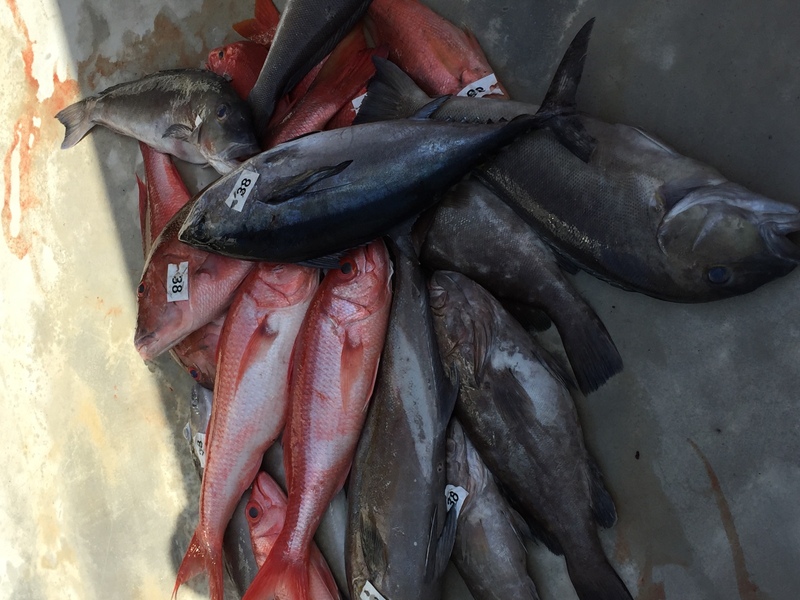 Greg has found an abundant fishery in the shoal waters of Pulley Ridge, one that is waiting for anglers to enjoy. Meet Pulley Ridge Lite. This new trip will focus in waters in the 200-400 ft range (conditions permitting), making electric reels unnecessary. As in the deepwater trips, long drifts over productive bottom will be the mainstay of the trip. In addition to drifting baits along the bottom, the shoal water fishery offers another amazing opportinuty: deep jigging! The fish in this area respond very well to vertical jigging, with anglers commonly catching “fire truck” red grouper, yellowmouth grouper, blackfin snapper, hambone snapper, mutton snapper, black grouper, yellowfin grouper, and much more all on deep jigs during the day time. After dark, the fishing continues in a similar fashion. Anglers typically switch to drifting with bait on the bottom for continued action on grouper and snapper. Those that wish to keep getting jiggy with it enjoy hot action with blackfin tuna through the night. This trip is sure to be a jigger’s delight. 2019 price: $795.50 per person. My favorite part of this job is finding new places to fish. Since day one, my mentors drove home a simple points; never take your eyes off the fishfinder, always look for new areas and always keep learning. Clearly, these tactics has served us well over the years. Over the last 24 months, it has become apparent to me that we’re passing over some very rich areas that show great promise. In particular is a stretch of broken bottom approximately 25 miles beyond the Dry Tortugas. I have been driving over this area extensively and I’m extremely happy with what I have seen. In fact, unbeknownst to passengers we’ve even made a few exploratory drops along this ridge and have seen an excellent showing of black and scamp grouper, large yellow-eye and mutton snapper. After extensive research it is now time to dedicate a couple of exciting three-day trips to Halfway Ledge. 2019 Price: $747.75 per person. All Pulley Ridge trips have a very SPECIFIC TACKLE REQUIREMENT LIST! Halfway Ledge trips use Pulley LITE tackle. Please refer to our tackle page and Be sure you have the ability to obtain ALL the required gear before making your reservation. Rental gear is not available. On a trip like this we expect to see blueline tilefish, grey and golden tilefish, snowy grouper, yellow-edge grouper, warsaw grouper, queen snapper, blackbelly rosefish, scamp grouper, kitty mitchell, snowy’s warsaw and many, many more! On previous trips to these areas we saw up to 24 different types of fish. During the day we will be deep dropping up to 900 feet. At night we will anchoring or drifting focusing on muttons. 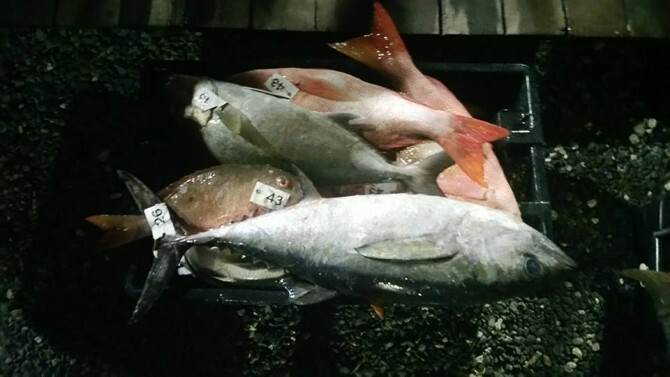 blackfin snappers and blackfin tunas. The second and third days we will be deep dropping from sunrise to sunset. We will steam home at night and have you back at the dock on the morning of the fourth day. This trip has the potential to be a MEGA producer. 2019 price: $903 per person.